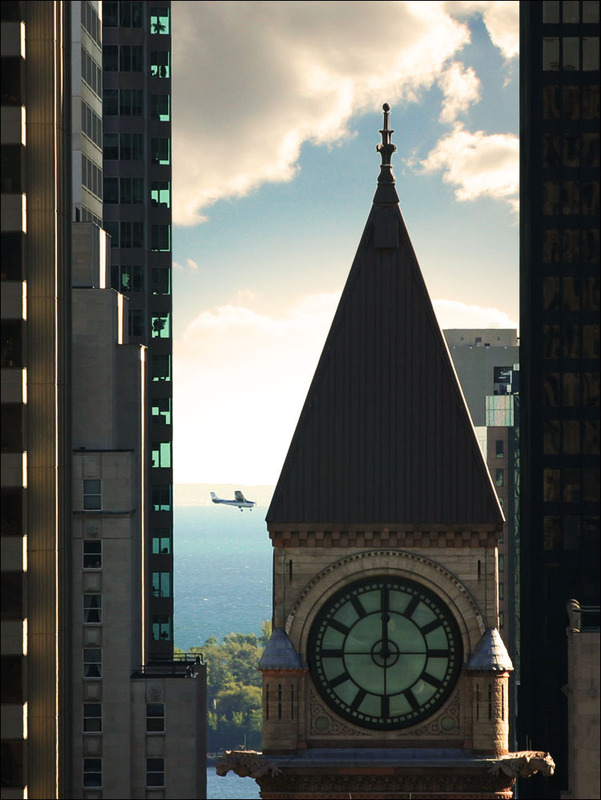 shot in toronto from the rooftop of the building we live in. one of many great advantages of a digital slr camera over the point and shoot ones is the almost non-existent shutter lag, which made it possible for the plane to be included in the frame. on a funny side note, check out the ddoi's clone site; [daily dose of generic photos]! someone has decided to put an identical image on this site daily with a similar layout to ddoi. i have no idea who that person is or shy he/she is doing it (to make the statement of the photos on this site being generic maybe), but it's fun anyways! check out the daily shots and compare with the same day here!